They started in 1095 and ended in 1271, but the word we use today only came into existence after 1760. The word? Crusade. In 1570 France, it was croisade. It comes from the Latin cruciare, “to mark with a cross.” In this case, Cross. The Latin base is crux. 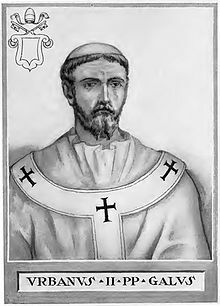 At the Council of Clermont, Pope Urban II (c. 1035-1099) did not call it a Crusade when he urged European knights to go “free” Jerusalem. From whom nobody was exactly sure. Expecting few would find this idea appealing, the Pope sweetened the pot: if you agreed to go, you would be granted remission from sins already committed. But only if you set out with a pure heart and honorable intentions. 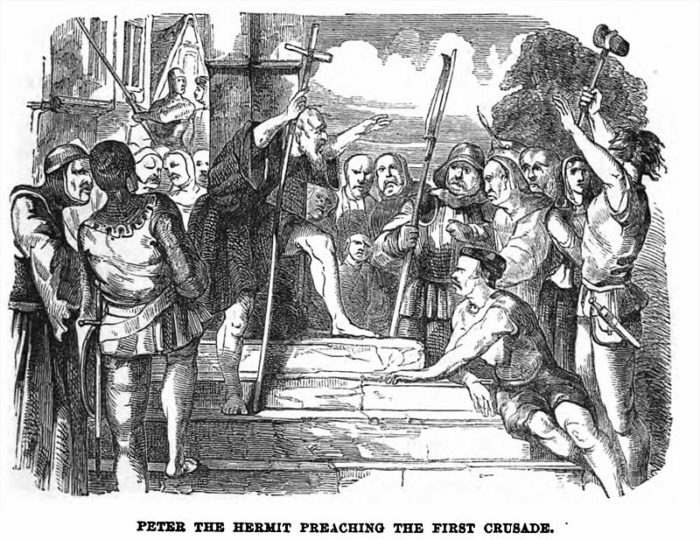 Fiery preachers like Peter the Hermit went around extolling the virtues of saving the Holy Land from the Infidel. This was the general term for anyone not Catholic. When the crowd was whipped into a frenzy, the preacher would ask who was ready to “take the Cross.” Now came a genius PR moment: a knight literally picked up a cloth Cross, made by nuns, and attached it to his clothing. What if you took the Cross and didn’t go? Basically the only way this was okay was if you died before you could make the trip. Jerusalem fell in a bloodbath on July 15, 1099. The news traveled back to Rome but Urban died on July 29, so never knew the result of what he had begun. And it was pretty devastating to all – Crusaders and the Infidel alike, and the people in the countries the hordes passed through. The repercussions are still echoing today in the Mideast. 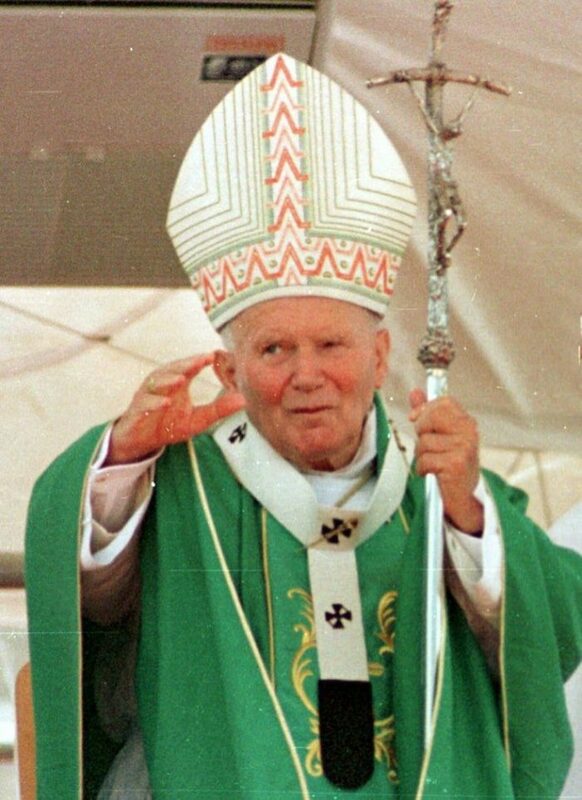 Pope John Paul II (1920-2005) apologized for the Crusades, sort of. 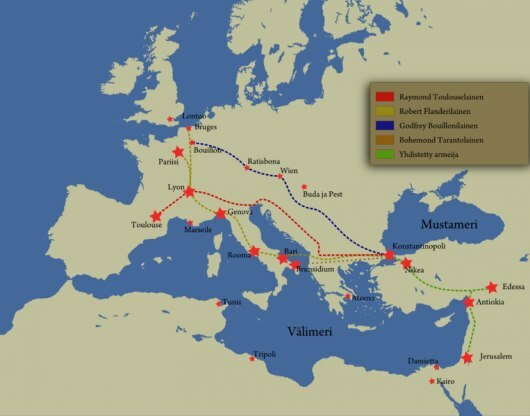 He was sorry Crusaders attacked Constantinople, an ally, in 1204. 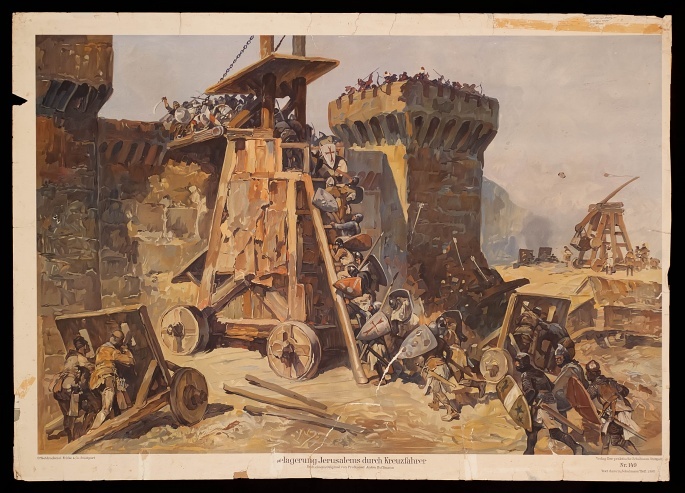 The Crusades suggest how deeply people want a grand purpose, and that it’s best if that purpose is violent and irrational. We should call it the “Pitchfork Impulse,” the desire to grab a pitchfork and go off with a bunch of others to kill someone.